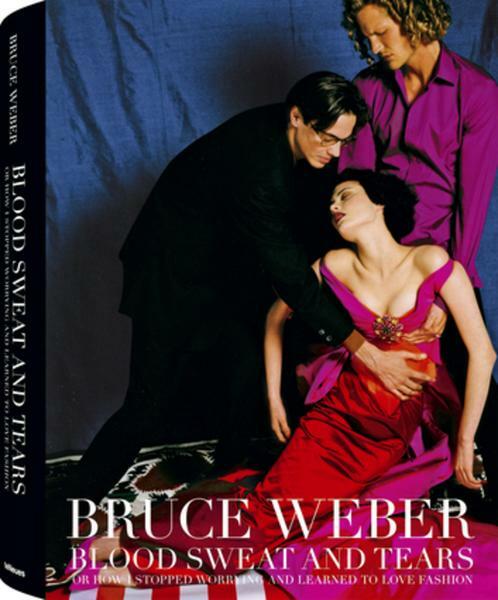 by Bruce Weber: At first I thought strictly about a book of photographs on fashion. As I worked on it, I thought more and more about something my friend the late, great fashion designer Gianni Versace once said, in giving me advice before an assignment, Call me des mode, but give me beauty. And with these inspired words I wanted to make a record of how I journeyed out into the world and recorded what most people call fashion. These photographs were not just about the shape of clothes, but also how one sees fashion in nature, architecture, and in the human spirit. When I began photographing, I was at Life Magazine borrowing some equipment. I ran into a bunch of other photographers in the camera department. One photographer asked, what kind of photos are you doing for the magazine? I replied, I am going to do some pictures of girls in bathing suits. They all burst out laughing at me, and said, that doesn t sound too serious. That s when I knew that as a photographer I didn t want people to stop laughing with me. That laughter can be found in a picture of a girl wearing a dress by Yohji Yamamoto that s so big she can t even walk in it or a boy wearing twigs as a tunic at Karl Lagerfeld s chateau in Brittany or the Duchess of Devonshire feeding her pet chickens in a Jean Patou couture evening dress from the 1940s. In this crazy world of ours, most things don t make sense any more, but the wonderful thing about taking pictures of people wearing or not wearing clothes is that maybe you won t solve all the world s problems but you ll at least be giving back a seed of imagination to our garden of lost innocence. And it s fashion that can create a big fantasy life for all those who enter.